Call me the fun-loving, picky consumer. I love going out to buy products and services that improve the quality of my life. In my mind, one of the joys of working is having the opportunity to enjoy the things that I participate in during my leisure time. With that said, I expect to receive excellent service when I go out. However, that is not always the case. There have been times when I have left an establishment because I did not like the initial impression its employees made. My first interactions have included (1) poor customer service, (2) managers wishing they were somewhere else and (3) unhappy workers just waiting for the end of their shifts. Why would you give your hard-earned money to an establishment like that? I don’t. I walk out. How many people would be willing to do the same thing? Or do you stay and complain? Some studies show a correlation among organizational culture, employee engagement and customer satisfaction. A National Business Research Institute study in 2005 found that 50% to 60% of the U.S. workforce was disengaged. Approximately 10 years later, the results did not change. A 2015 Gallup poll reported that only 32% of U.S. workers were engaged in their jobs, compared to 31.5% the year before. While organizations continue to survey their employees, it appears that the level of engagement is stagnant. Also, there is minimum improvement in the degree of excitement and happiness American workers derive from their jobs. The good news is these executives realize that the management models we once embraced are now outdated. It is time to move on to a model that empowers employees and gives them reason to enjoy their jobs. 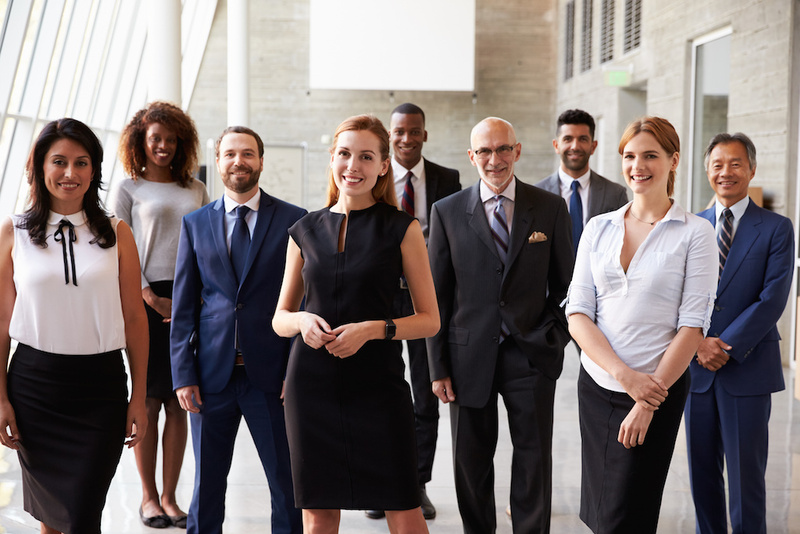 According to Missouri corporate marketing and engagement agency CPG Agency, we should consider numerous factors when addressing the issue of employee engagement in our work environments. The benefits outweigh the negatives. 1. Companies with engaged employees outperform those with unengaged employees by 200%. If 32% of the workforce is engaged, that means 68% fall into the category of actively disengaged or not engaged at all. What does that say about U.S. corporations and how employees feel about their jobs? 2. Gallup estimates that active disengagement cost American companies $450 to $550 billion a year. This number should not be a surprise, considering what is currently happening in many companies. Companies have to invest in an employee engagement initiative to avoid losing money. 3. For every two engaged employees, there is one actively disengaged team member trying to slow things down. Disengaged workers prefer the status quo. Some workers are miserable and do not want anyone to be successful. These individuals might have been abused somewhere in their career. Disengaging is their way to sabotage an organization. But their actions are not enough. They seek to bring others down to create an adverse effect on the organization as a whole. 4. Companies with employee engagement programs excel in serving clients. On average, these companies experience 233% greater customer loyalty. Happy employees = Happy customers. Engaged workers tend to be creative and inventive. With innovative ideas coming from engaged employees, there are more opportunities for organizations to explore uncharted territories. What Should We Do Now to Improve Employee Engagement? What are the next steps for companies to increase their employee engagement? There are several options. 1. Minimize the number of company employee surveys to one a year. Some companies are obsessed with surveys. Employees get tired of filling them out. They do not believe their input is taken seriously or they believe there is a hidden agenda based on the questions asked. 2. Create a diverse task force to represent all levels of the organization. Each member of the task force should have an equal voice. The opinion of senior leaders should count as much as the opinions of the other members of the committee. Also, veteran employees as well as “up and coming” employees should have equal representation on the task force. Allow them to learn from one another as they develop proposals for the senior management team. Build a culture that values open communication and respect. 3. Encourage senior management to communicate its vision to the employees. If possible, do not allow employee messages to trickle down from written reports. The message is not always interpreted in the spirit in which it was written. When managers continue to use the top-down method, employees will continue to think it is business as usual and there will be no change. This communication method could account for why employee engagement levels are stagnant. 4. Select employee champions to drive your message home on an ongoing basis. Everyone gets excited about a new project. However, as time goes by, the light starts to dim. Strong communication techniques should be in place to validate the importance of the initiative. Otherwise, employees might see the effort as yet another failed attempt at change management. We are at the halfway point of 2017. You have six months left to make a change. How will you engage your employees to take a breath of fresh air and join forces to make a difference in the organization’s bottom line? There’s power in collaboration, mutual respect and trust. I encourage you to invest in two of your greatest assets: your employees and your clientele. Excited employees make happy customers.